Your money and your time matters. You want the truth about the gear you’re about to buy and not the hype. And, you simply want the best at a price that makes sense… at least when you have to tell your girlfriend! 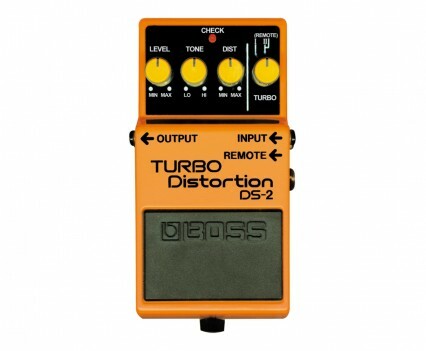 Buying the best distortion pedal is your quest for perfection in your tone. The sound that opens up your playing to shine. And that’s it. Sometimes your guitars' voice is there, as you pound out your rhythms or play your screaming leads… but it’s just buried in a sea of bad products and junky equipment. So it sounds dull and lacks the boosted punch you seek. It’s not your fault. It’s time to expand your tools and upgrade. When it comes to standing out from the pack and making your music heard, the right pedal is waiting there to serve you and to help your tone shine brightly. With one punch of a button, your guitar can go from a muffled kitten to a lions’ roar on the attack. And that’s at the core of what I aim to give you within this list. No matter your style of playing, or the genre you love, your first goal to understand is; how much distortion do you want to add to your signal. A little or a lot? From there, it’s all about the tone shaping capabilities of the pedal itself. Does it give you the EQ, harmonics, and level controls you need? When you get into mixing a guitar, within a live setting, a recording session, or with other instruments, the eq parameters of your rig will help you own a space in the sonic spectrum so that you stand out where you need to -either in your rhythms or leads. 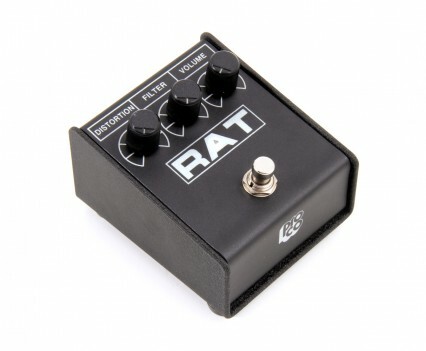 Many times, a distortion pedal is used when you have a large amp, but don’t have enough money to pay all the noise violation tickets you will get from your neighbors when it’s cranked to 11. 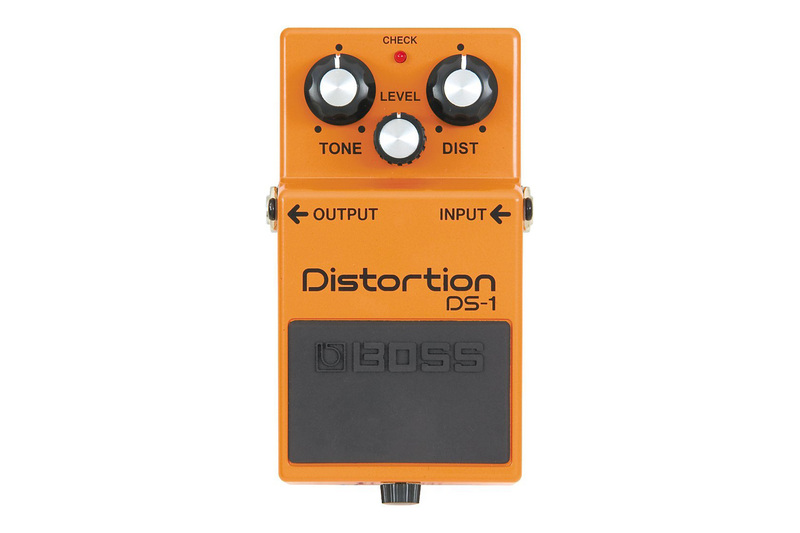 A good distortion pedal will give you a sizzling full amp sound at low volume or emulate a full amp stack sound when all you have is a 15watt practice amp. 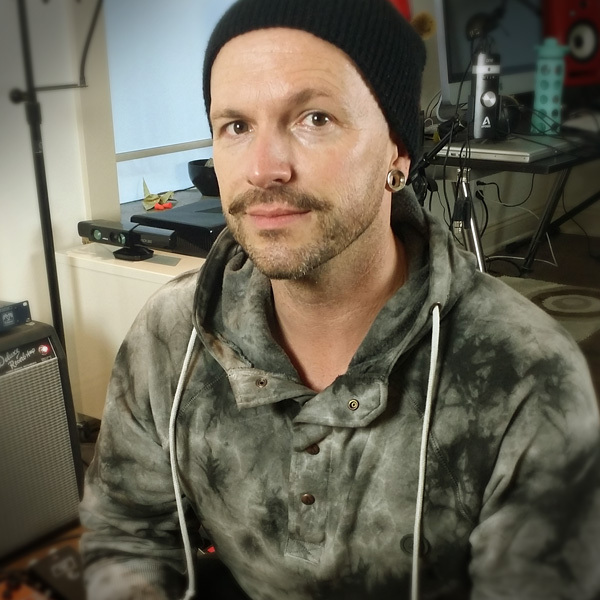 Whether you’re looking for the best distortion pedal for metal, rock, alternative, or even electronic music, I've assembled quite a crew of sonic troopers here that are ready to deliver. How much for that screaming lion in the window? The majority of pedals I’ve selected here are close to, or just under, a $100. Making them affordable for a Christmas or birthday present, for you (me, me, me!) or for someone else, at any time of the year. We’ve got some old-timers, some all-timers, and some tried and true battle tanks that get the job done like a surgical scalpel. From best selling, to highest rated, to most wished for. 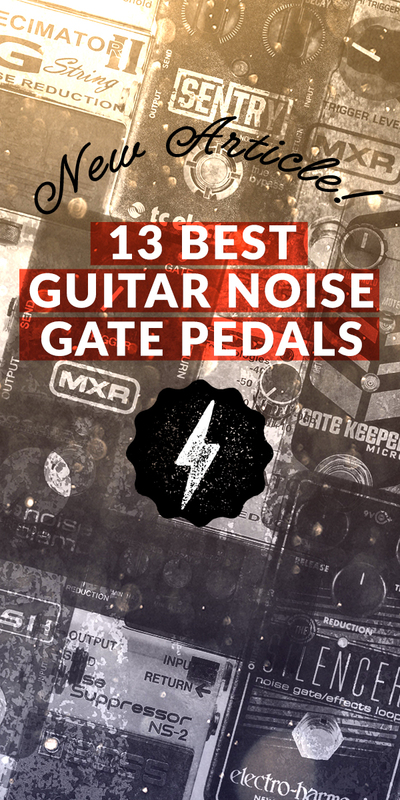 Some on this list, like the Boss pedals, are here because they’re just plain popular. They have captured the market for a long time, while delivering great quality and tone as part of their heritage. Could we have gone more boutique? Yes we could have. 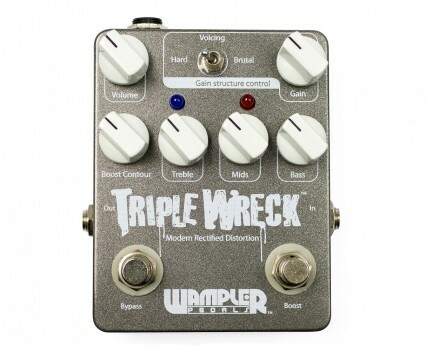 And there are many amazing custom distortion pedals out there. But, this list best represents where the people have spoken. These pedals are in no particular order. 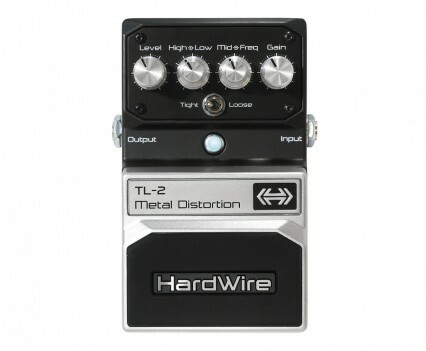 They cover a range of distortion from warm and classic -to hi gain thrash machines that shred. You want distortion, you want thumping harmonics and high gain, you wanna take no prisoners… well here we GO! Respect your elders! 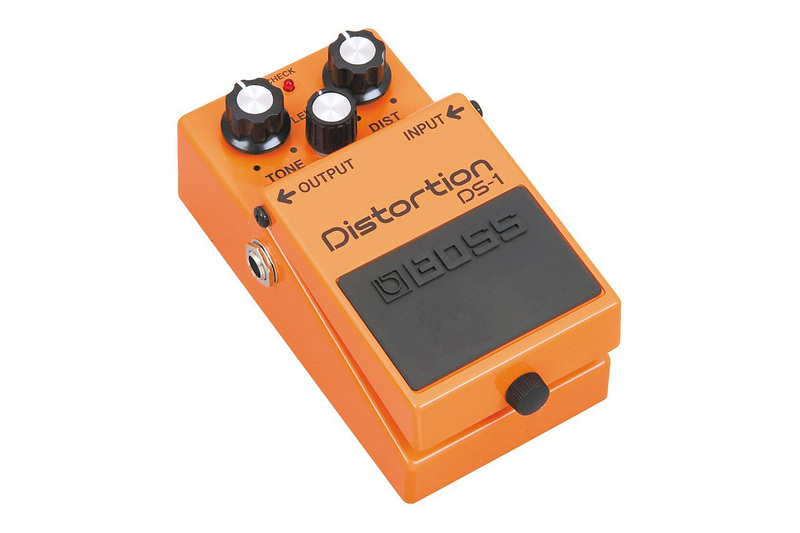 No best distortion pedal list is ever complete without Boss' best selling and highly adored Boss DS-1 Distortion Guitar Pedal. Filled with great tone that's straight to the point makes it worth enough. But add in its sheer amount of custom mods that can be done to it, from third party pedal designers, along with its very affordable price, which averages around $49 new, and you really can't loose. For more details, check out our detailed review here. Pros: Affordable. Well Built. Includes 5-year warranty. Cons: Limited amount of tone control. May need other pedals to make it shine. Price: MSRP: $78.50. Sale price with FREE shipping: $49 New (Amazon). 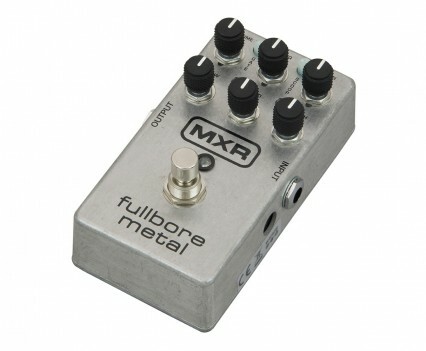 This metal distortion pedal has two high-gain amp tone circuit positions to sizzle your sound. Tight Mode gives you a responsive, percussive low end with smooth high frequencies. Loose Mode features a low EQ that best suits detuned guitars and produces a massive amount of low end grind. 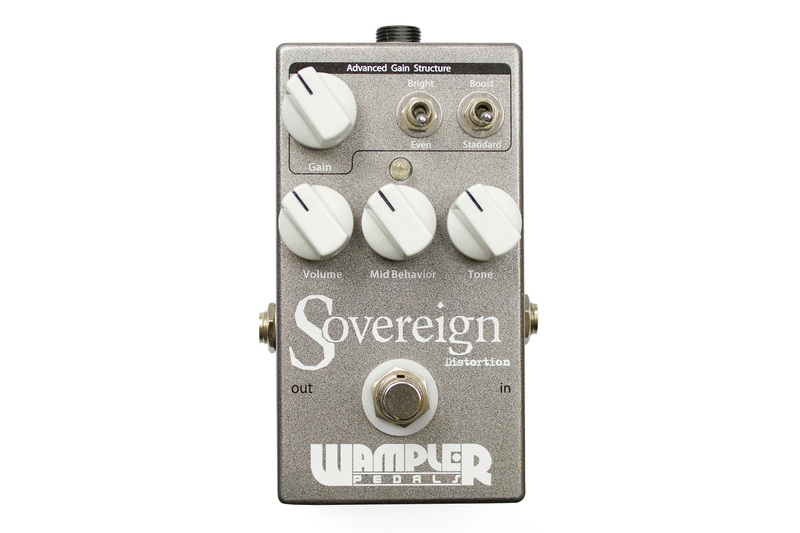 There are Level, Gain, and Low, Mid and High tone controls with sweepable midrange that allow you to dial in any tone. 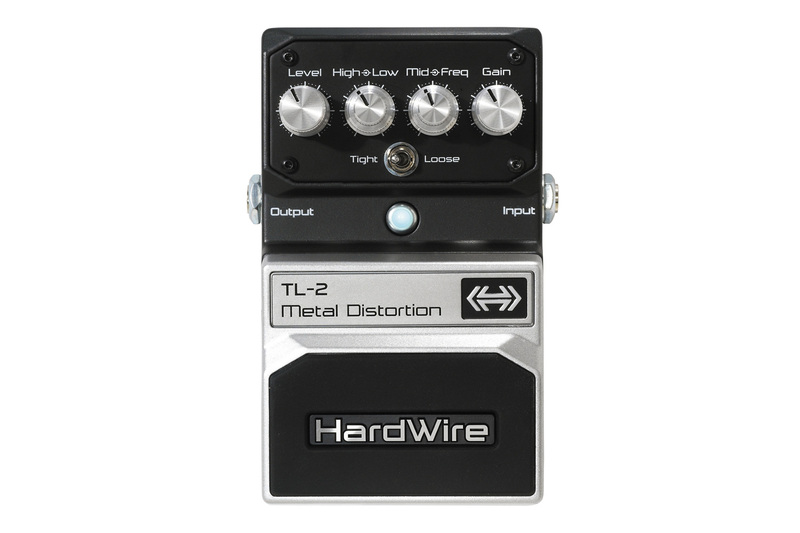 The DigiTech TL-2 HardWire Metal Distortion Pedal is made of insane machined metal construction, which will support any heavy touring musician. Let’s just say that this pedal is more than durable. It also has precision potentiometers that guarantee knob positions will stay exactly where you set them. The input signal is tuned for high voltage operation. 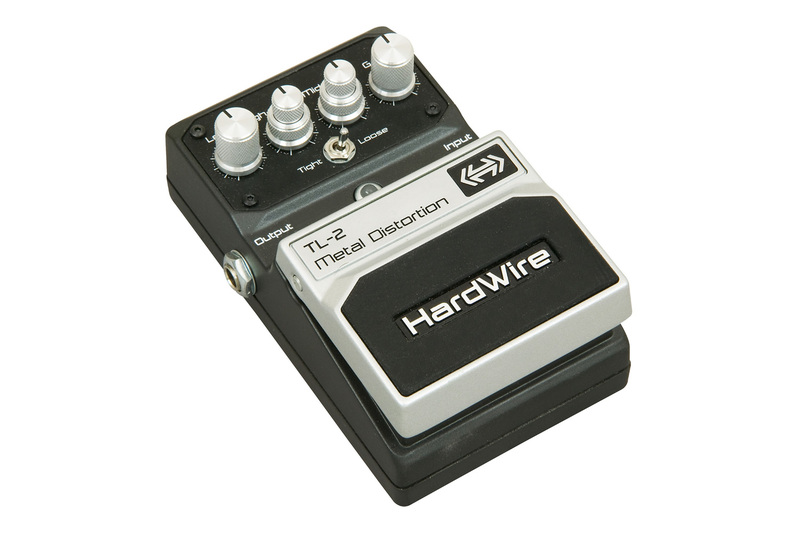 This further protects your sound by eliminating clipping, that can come from a guitar with high-output pickups, by increasing the operating voltage headroom above that of a typical pedal. Let’s just say, children should not be left unsupervised with this effects pedal! Pros: True Bypass circuitry. Well Built -all-metal components. Constant high-voltage operation for tonal quality and noise reduction. Price: MSRP: $139.95. Sale price with FREE shipping: $99.95 New (Amazon). 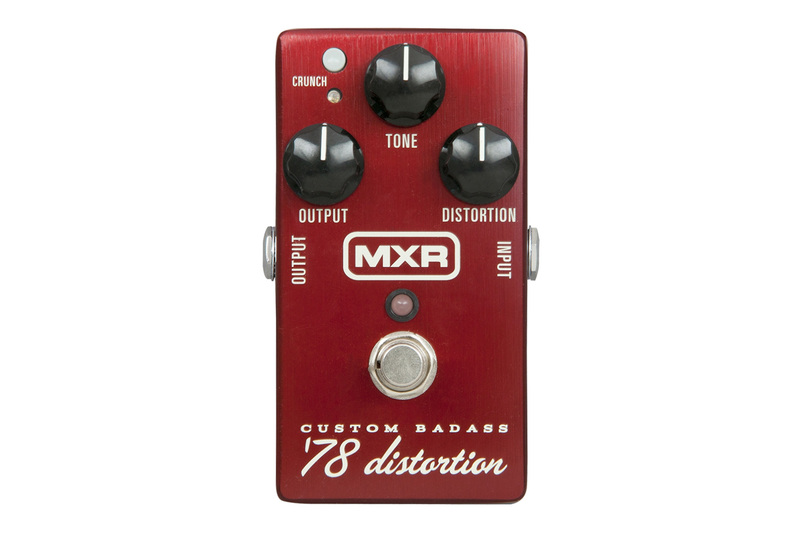 Drive your leads above the mix and keep your rhythms saturated with this classic hot-rodded distortion circuit direct from the hands of the MXR Custom Badass design team. Achieve that huge amp stack tone and old school tube amp-like distortion of the great rock bands of the 70’s no matter the size of your current setup with this pedals' unique factory-modded signal. 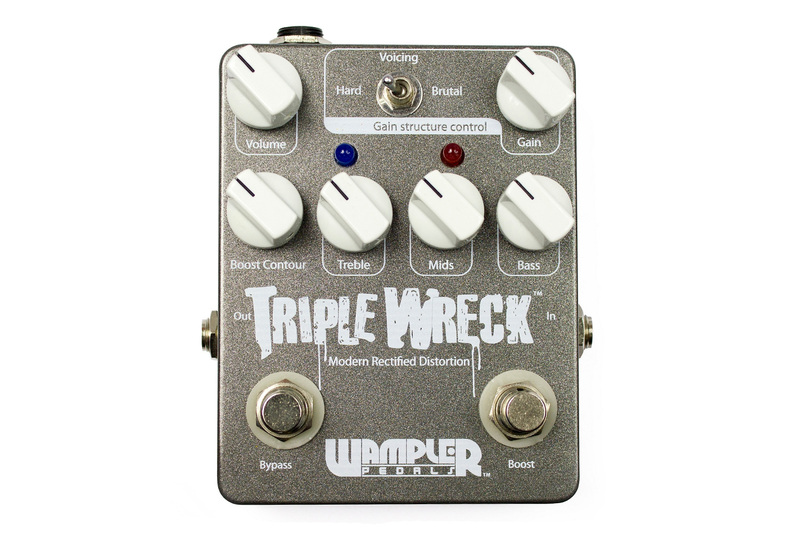 With only three knobs to choose from, it won't be hard to dial in a “badass” tone! The upper left CRUNCH button serves up two different modes of diode and LED clipping, which boosts the harmonic content of the distortion. 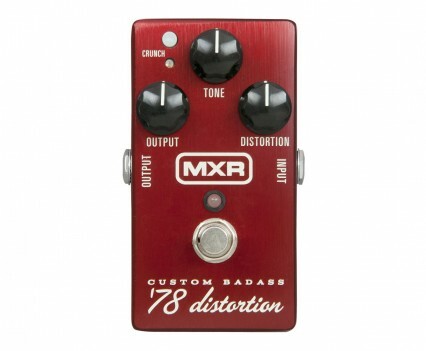 The MXR M78 Custom Badass '78 Distortion Pedals’ wide open amp-like sound sounds great whether it's in front of a clean amp, a slightly dirty amp, or a full on overdriven amp. Built with high end circuitry and and sturdy hardware – it’s going to consistently deliver. Pros: True Bypass circuitry. Sturdy metal construction. Custom pedal sound at an affordable price. Cons: Really none. Limited amount of tone control. Price: MSRP: $114.28. Sale price with FREE shipping: $78.08 New (Amazon). 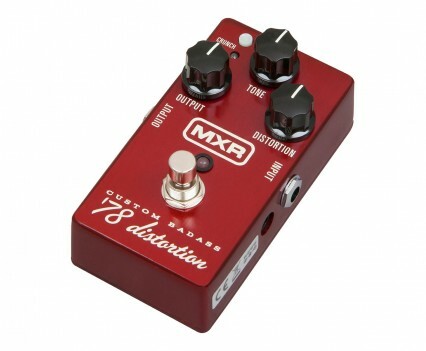 The tone on this distortion pedal is heavy and mean – just the way you like it. It has a premier three band EQ for total control. This allows you to scoop out the mids without it peeking out the lows and highs. And as we have advised with other distortion pedals, good, tight EQ control matters. A voice switch at the top of the pedal gives two distinct voices, Hard and Brutal. The Hard gives you that warmer thump high gain where as the Brutal allows a little more sparkle to creep in, giving it that more recent, full audio spectrum feel. 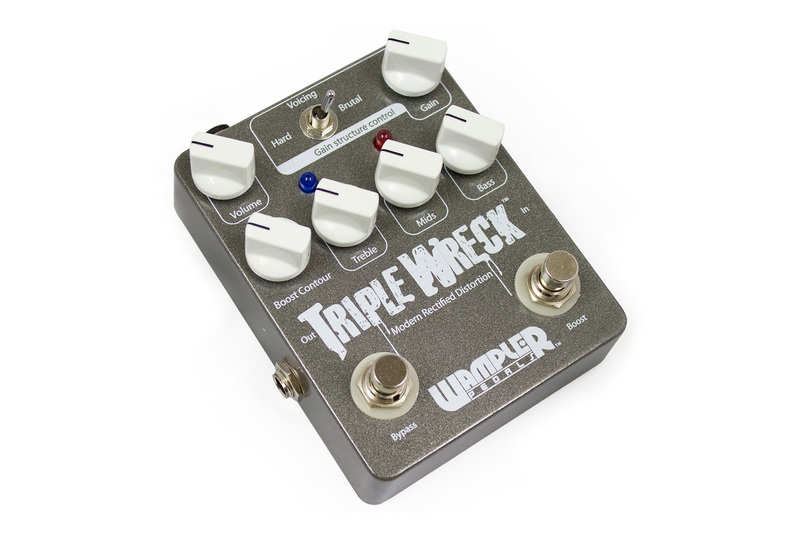 The Wampler Triple Wreck Distortion Pedal also has a boost switch. What! This feature, at different settings, can give you harmonics for your leads or fuzz overtones for a grunge-a-liciouse landscape (that I certainly crave!). 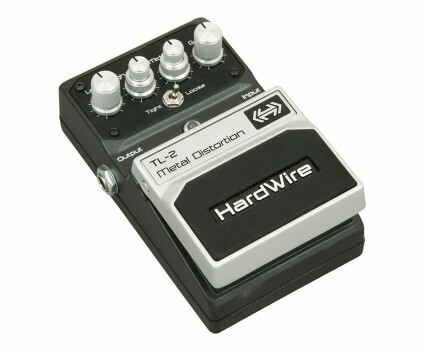 This pedal is not easy on the wallet, but it is a major investment in tone. Pros: High grade film capacitors and resistors picked for their superior sound and response. Two Voice Switch + Boost Switch. True Bypass circuitry. Well built. Cons: Price is steep, but you really get what you pay for here. Price: MSRP: $269.99. Sale price with FREE shipping: $269.97 New (Amazon). Just like the Boss DS-1, the Pro Co Rat has legions of fans across the decades. 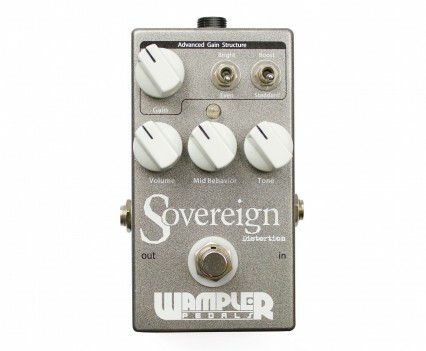 Its just been one of those pedals that you either love or hate, yet has been emulated by dozens of other manufacturers. Its sound has been heard on thousands of recordings across the past three decade’s, and has helped define the tone of many influential bands. Boasting a 100% analog signal path, and some glow-in-the-dark luminescent control graphics (!!! 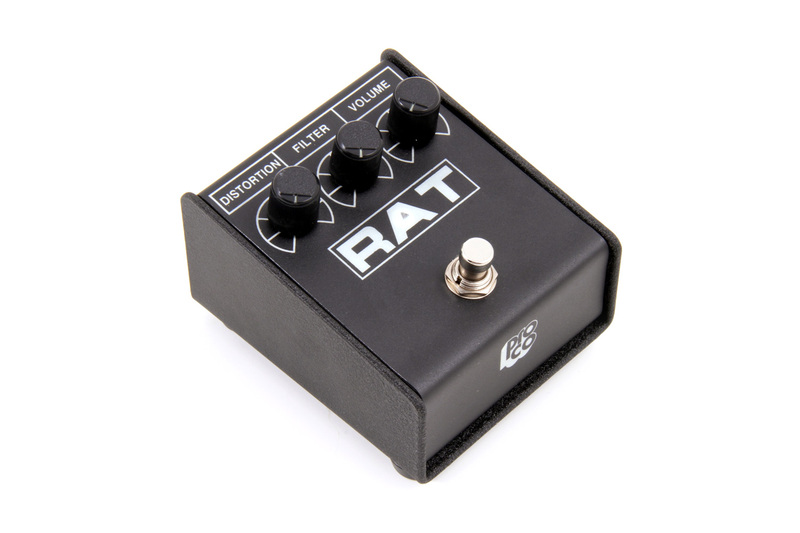 ), the Pro Co RAT2 Distortion Pedal can serve many genres of music (metal, rock, blues, punk, jazz, etc.). With it’s unique filter control, you can roll off brittle high-end frequencies or allow the natural brightness of your instrument to shine through the mix. The Distortion and Volume controls dial in the amount of gain while keeping the its level consistent with your clean tone. These features can be used as a boost gain for your solos. Its true bypass switching guarantees that no extra noise will creep into your signal when it’s turned off. Pros: Virtually indestructible steel enclosure. True Bypass circuitry. Two year limited warranty. Cons: Limited tone controls and a very distinct sound that you will either love or hate. Price: MSRP: $134.99. Sale price with FREE shipping: $79.99 New (Amazon). 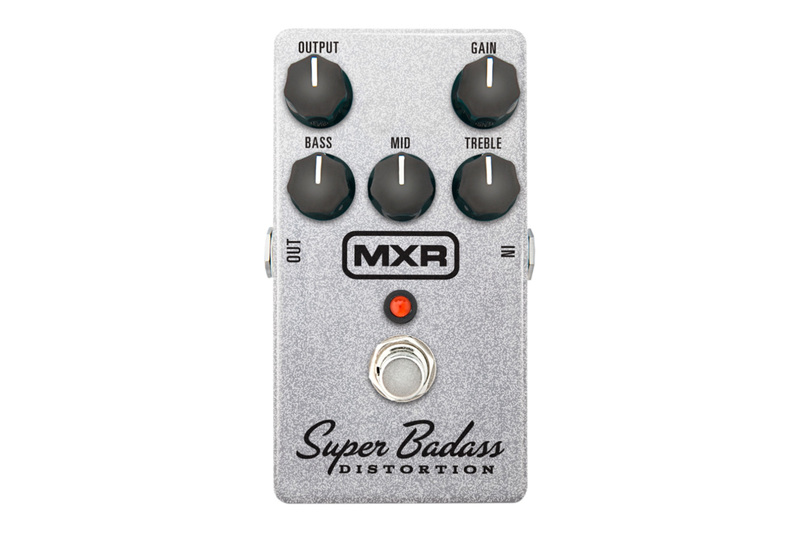 If you want one pedal to give you a sweep of several decades worth of distortion tones in a box, the MXR M75 Super Badass Distortion will deliver. 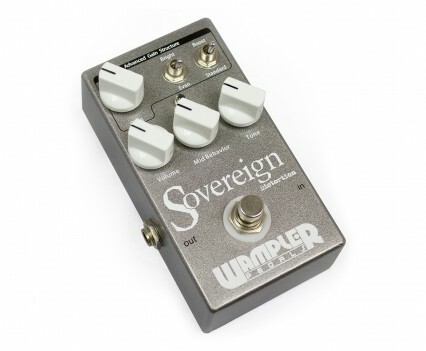 Which means from gritty early ’70s overdrive to modern “scooped” metal distortion. The three band active EQ knobs, as designed by the award-winning MXR Custom Badass team, give you accurate, highly controlled tonal shaping. 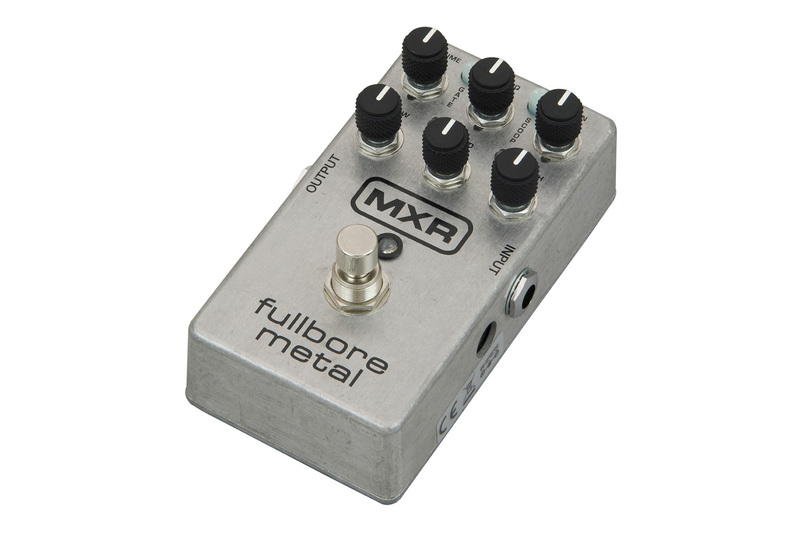 And its 100% analog circuitry housed in an all metal enclosure. Price: MSRP: $169.99. Sale price with FREE shipping: $88.86 New (Amazon). 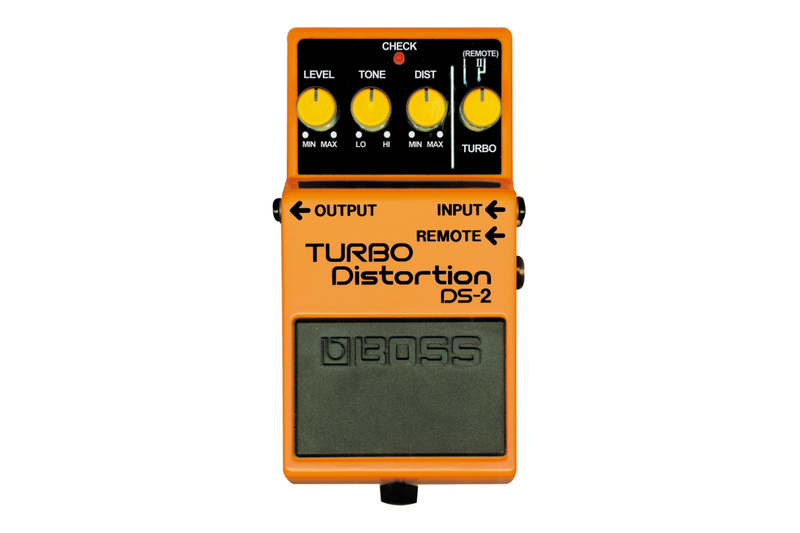 The Boss DS-2 Turbo Distortion with Remote features twin Turbo modes. Mode One produces warm and mellow distortion with flat frequency response. 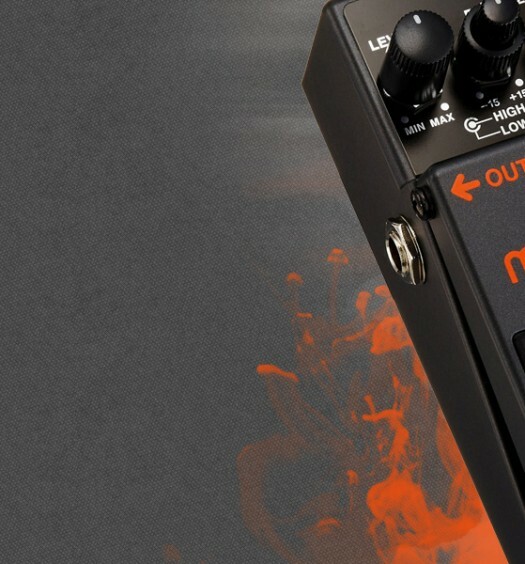 Mode Two provides a biting distortion with a midrange boost that's great for leads. The built-in remote jack on the Boss DS-2 Turbo pedal allows you to connect to an external footswitch such as the FS-5L for instant, handsfree mode switches. 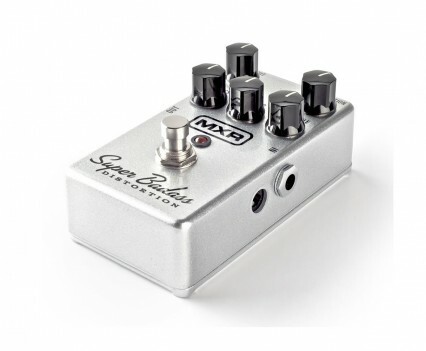 Pros: Many claim this pedal has a Nirvana/Chilli Peppers tone. Comes with Boss 5-year warranty. 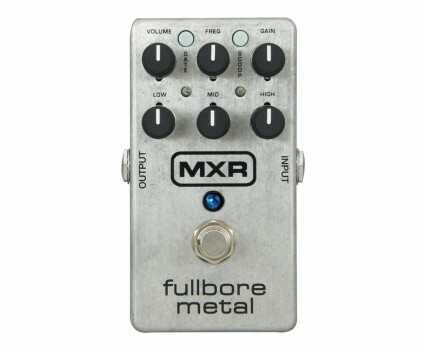 Cons: Has a somewhat thin “digital” sound to it that leans towards fuzz. Price: MSRP: $131.50. Sale price with FREE shipping: $78.29 New (Amazon). 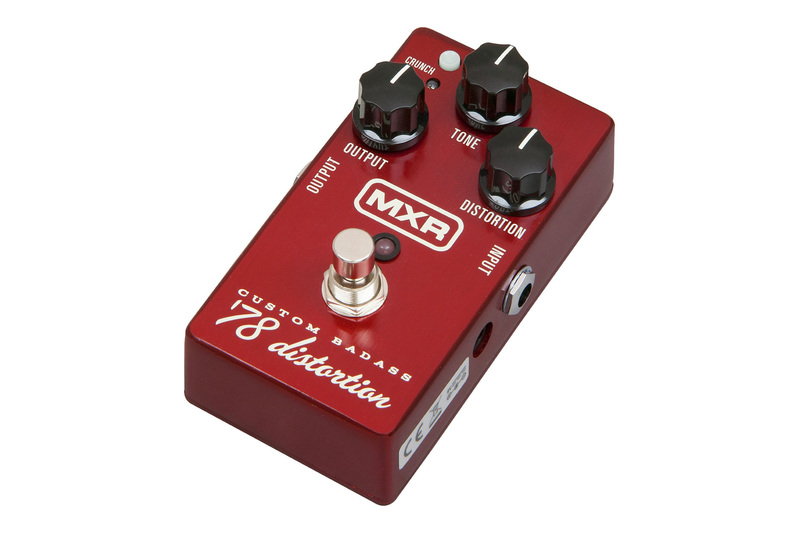 Follow Distortion Pedal HQ on Pinterest! 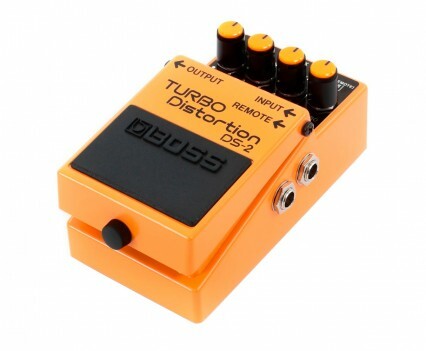 Follow Distortion Pedal HQ's board 13 Best Distortion Pedals That Shred on Pinterest. 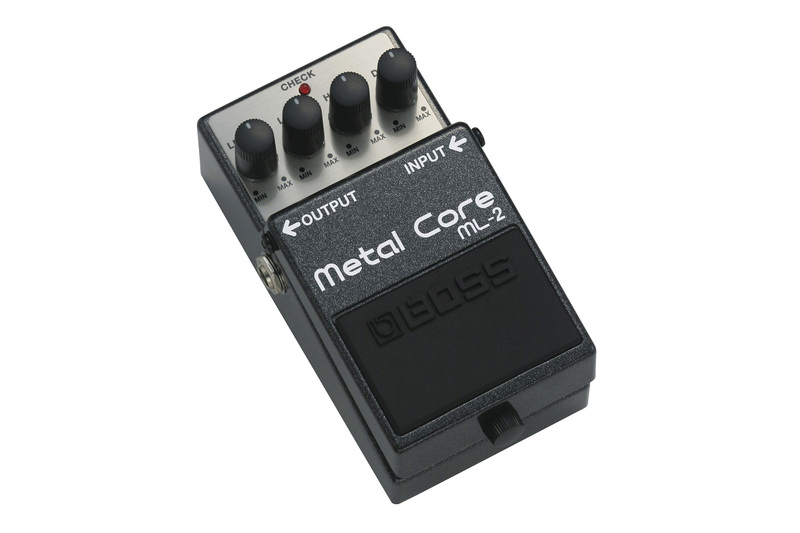 Pros: LOW control for heavy, low frequency sound a la 7-string guitar or dropped tuning. HIGH control for screaming, metallic tone. Comes with Boss 5-year warranty. Cons: Limited tone controls. No sweepable mid. Price: MSRP: $163.50. Sale price with FREE shipping: $86.99 New (Amazon). 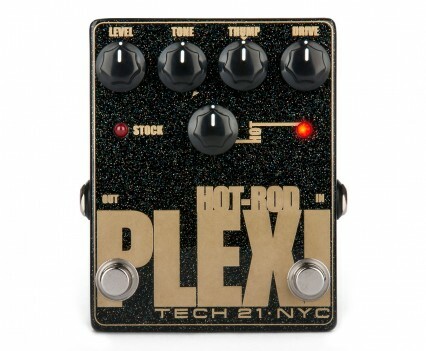 The Tech 21 Hot-Rod Plexi pedal is inspired by vintage amps of the same nickname. While those hulking stacks are known to sound best at ear-bleed levels, this pedal can painlessly transform your existing amp without pulling a muscle or mandatory rig cranking. 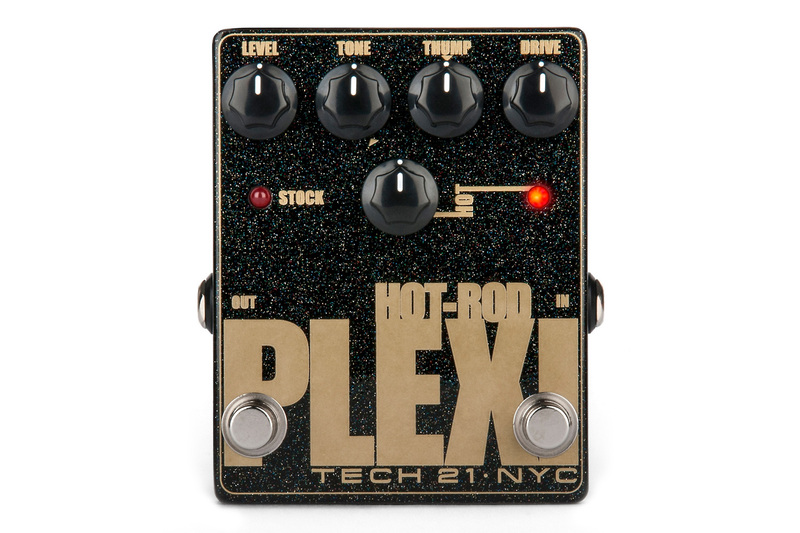 With the Hot-Rod Plexi, you can completely change the personality of a clean amp or use it as an instant mod to a dirty amp. In Stock mode, it’s as if you have the signal path from the input jack to the speaker jack (without the speaker emulation) of a stock ‘68 Plexi. Hot engages an extra “12AX7” pre-amp gain stage. With its own level control, Hot can kick in up to 28dB of pre-amp boost –a pretty insane amount of gain. Pros: Generates organic tube amp distortion characteristics. 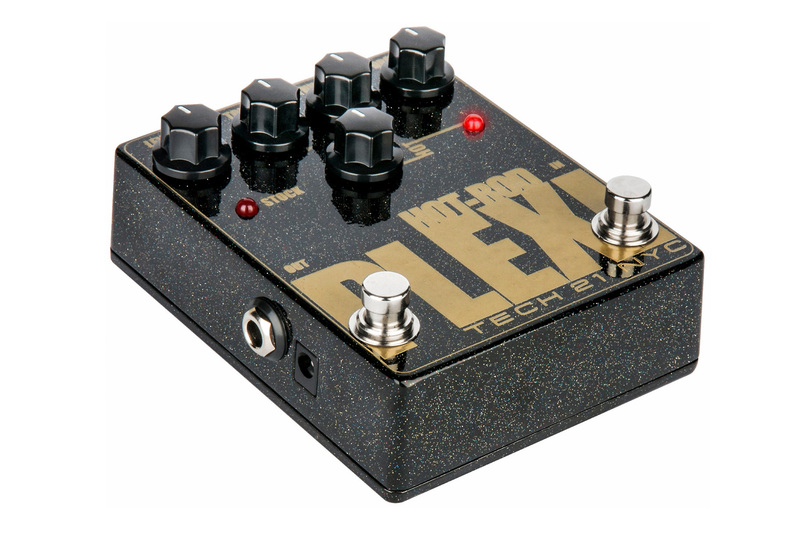 Specialized low pass filter that cuts the high end without losing mids or getting muddy. Full amp stack sound. Price: MSRP: $215.00. Sale price with FREE shipping: $179.00 New (Amazon). To a discerning and devoted league of tone chasers, Brian Wampler is The King when it comes to organic, convincing and inspiring dirt tones. 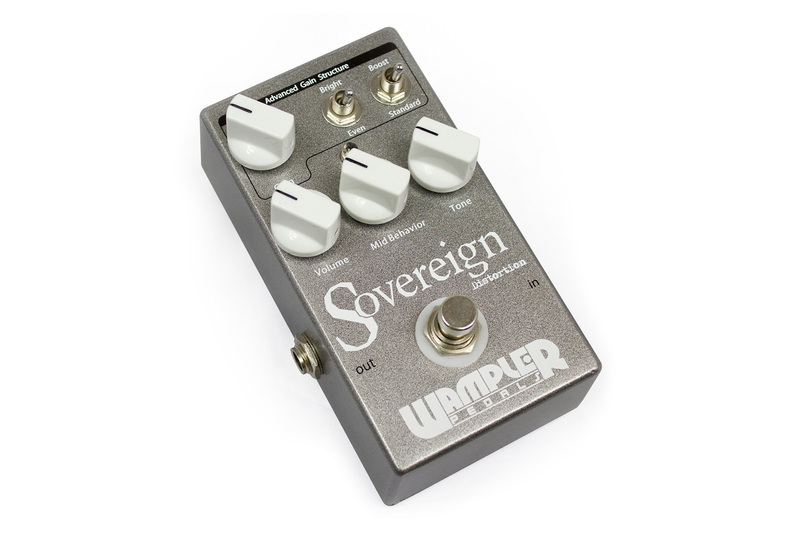 Thus, Wampler thought it only fitting to name Brian’s latest pedal—a simple distortion pedal—The Wampler Sovereign. Pros: Hand made in the U.S.A. High gain, crunchy and dynamic pedal. Extremely tweakable EQ. Advanced Gain Structure, amazing array of sounds. Price: MSRP: $279.99. Sale price with FREE shipping: $199.50 New (Amazon). Pros: Three-band EQ with semi-parametric Mid control. Dual-gain circuitry. BOSS 5-year warranty. Cons: You must dial in the sound correctly, especially on the Mids. Price: MSRP: $166.50. Sale price with FREE shipping: $84.99 New (Amazon). 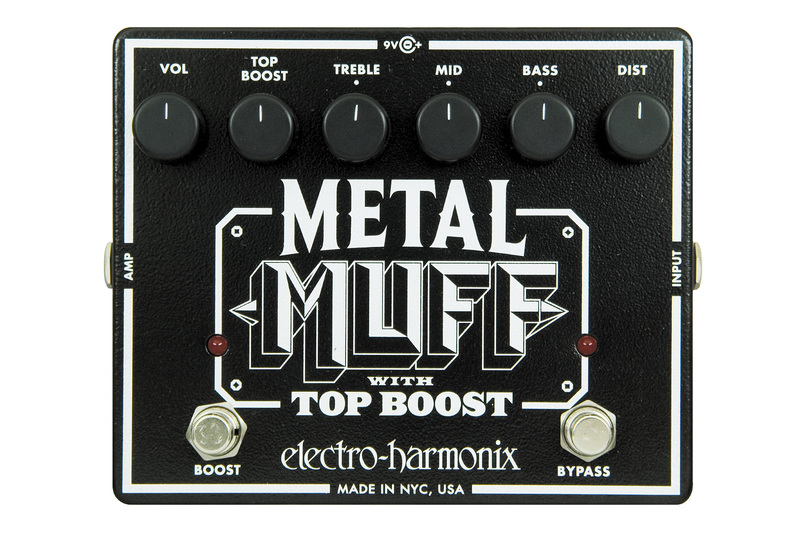 The Electro-Harmonix Metal Muff with Top Boost features 3 powerful EQ bands that are ideal for sculpting mids and a total of 6 controls for shaping sound precisely your way. 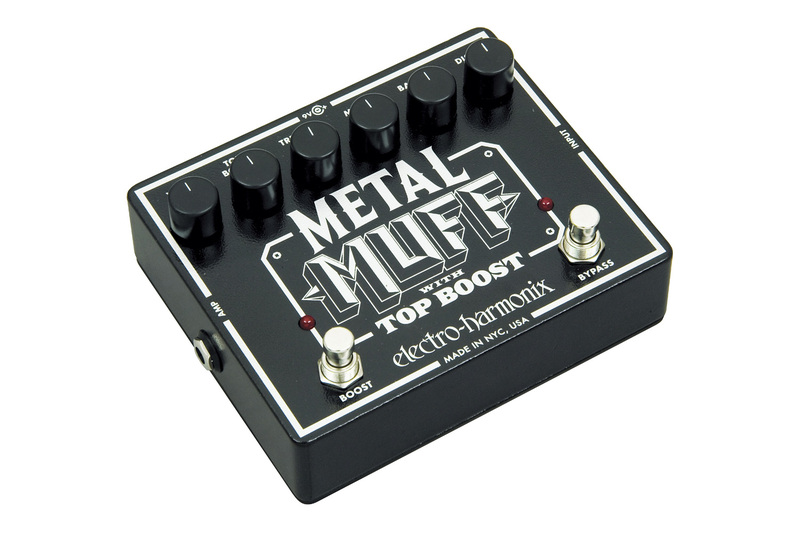 Top Boost adds serious bite with its own control knob and footswitch button. Pros: 3-Band EQ: bass, mid and treble. Total tone control. 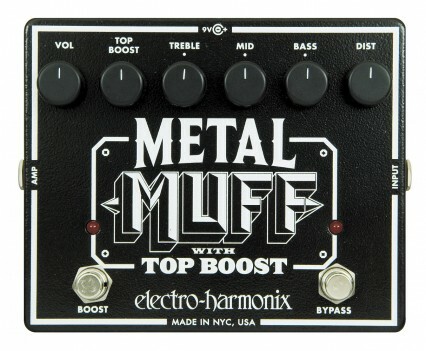 Footswitchable Top Boost with separate control knob. Cons: EQ will take some time to dial in. Price: MSRP: 121.20. Sale price with FREE shipping: $90.90 (Amazon). 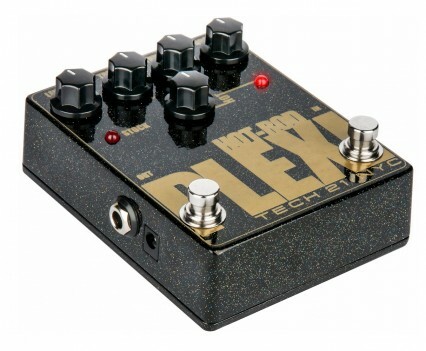 This pedal brings it – full stop. Just listen to the videos I've posted here and take a look at the features. It even looks the part of an all metal machine. The built in noise gate is also a huge plus, though can be a little finicky, depending upon your use. 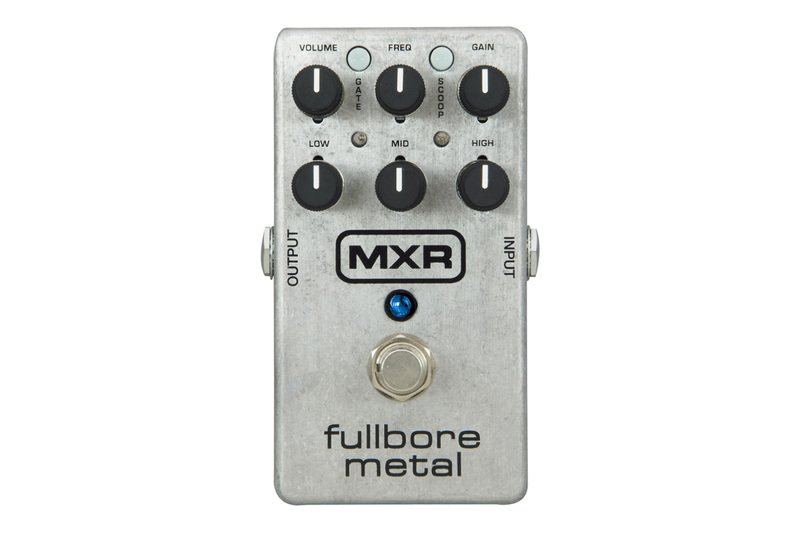 The MXR M116 Fullbore is all you need to unleash the most devastating contemporary metal guitar tones ever heard. 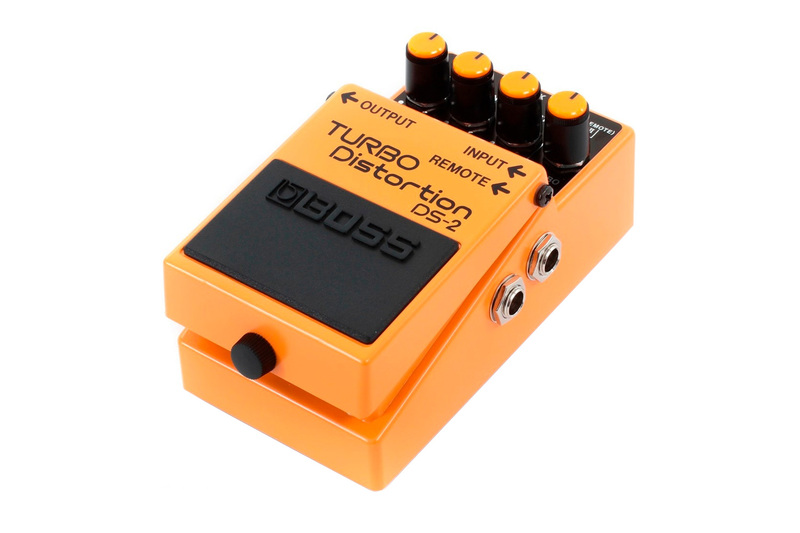 The FullBore distortion pedal turbocharges your guitar signal with lethal amounts of ultrahigh gain. 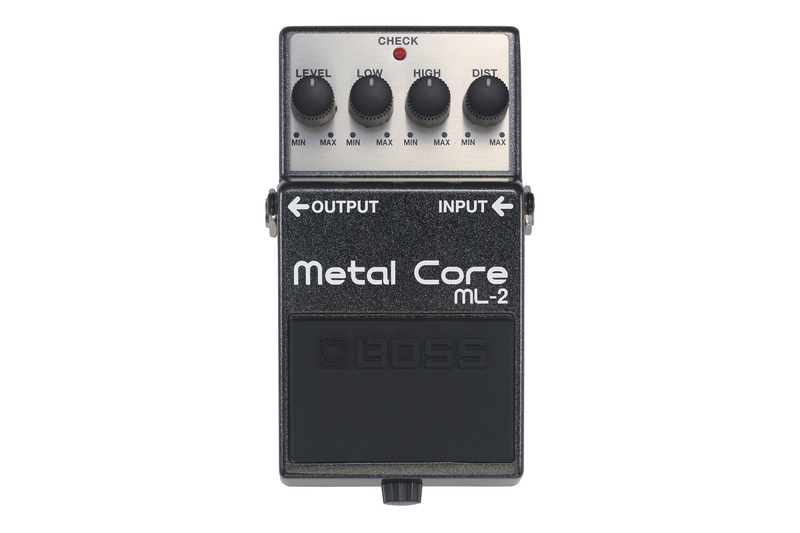 This is combined with a built-in Noise Gate to knock out the noise associated with extreme gain levels while also adding definition and tightness to syncopated metal riffs. The effect pedal's extensive EQ controls, with Bass, Mid, sweepable Mid-Freq and Treble knobs let you sculpt your tone with fiendish precision. The additional Scoop switch provides an instant high and low frequency boost that'll rumble the room while also adding clarity. 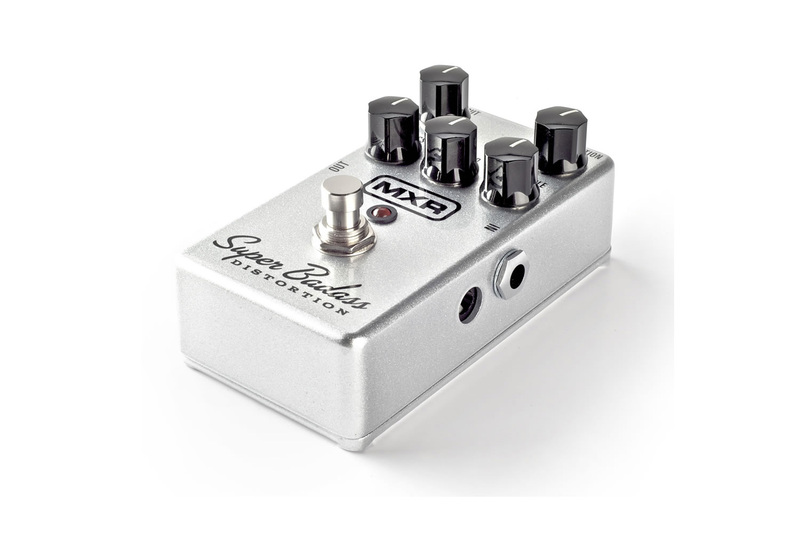 Available from MXR, the world leader in analog pedal technology. Pros: Super high-gain distortion. 3-band EQ with sweepable mid frequencies. Tight, fast, switchable Noise Gate. Scoop Switch boosts the highs and lows while the EQ stays active. Cons: Really none. Noise Gate fine tune switch is internal and will need the bottom plate unscrewed to access it. Price: MSRP: 142.85. Sale price with FREE shipping: $88.86 (Amazon). That is quite a list. And by no means does it cover everything. 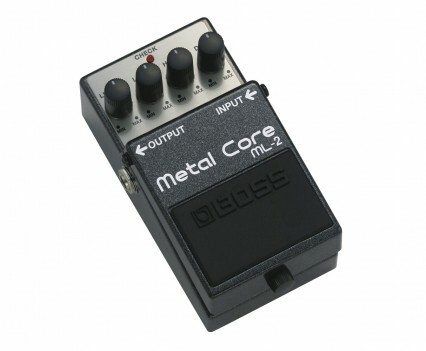 But, as I said at the top; it gives you insight into some of the best selling, tried-and-true pedals out there that have been serving in the signal path of many pro guitarists. And… they're affordable for you to go out and try. 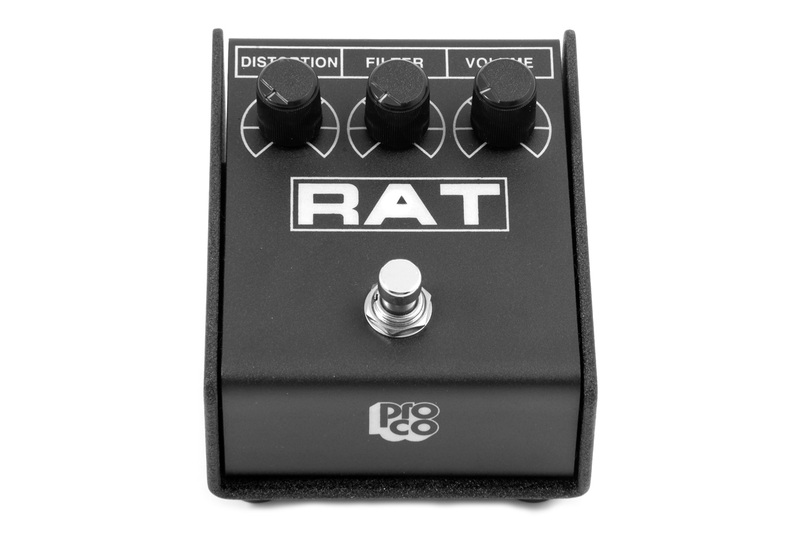 Spending more money on a pedal than everybody else doesn’t make you a better player. Heck, it doesn’t even make you smarter shopper. Just because it’s boutique, won’t guarantee that it has the tone you seek. Just that you’ll be boo-roke! 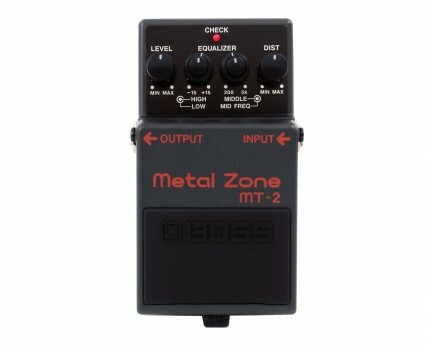 Tone can be easily found in a cheaper pedal. 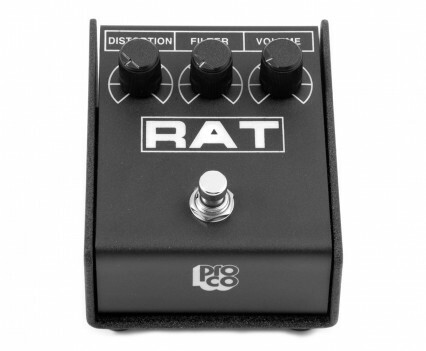 Remember… your search for the best distortion pedal is always subjective. Meaning, you like a pedal (or even love it) because YOU like it. All the hype in the world, all the tech specs, all the celebrity endorsement won’t matter. Because, at the end of the day, it’s going to be you in your room, or studio, or with your band, rocking out just how YOU want to. Is this list complete? Hell no! Is it an awesome start? You have my word on it. What matters is if the pedal you’ve chosen to date, either for a night, or a lifetime, fulfills your needs and tones’ expression. What you’re after is the tone that makes your true playing come forward -out of the mix- and into life. And the right equipment, along with always improving guitar skills, will take you where you want to go. If there are any pedals you love and that I have missed here, let me know! 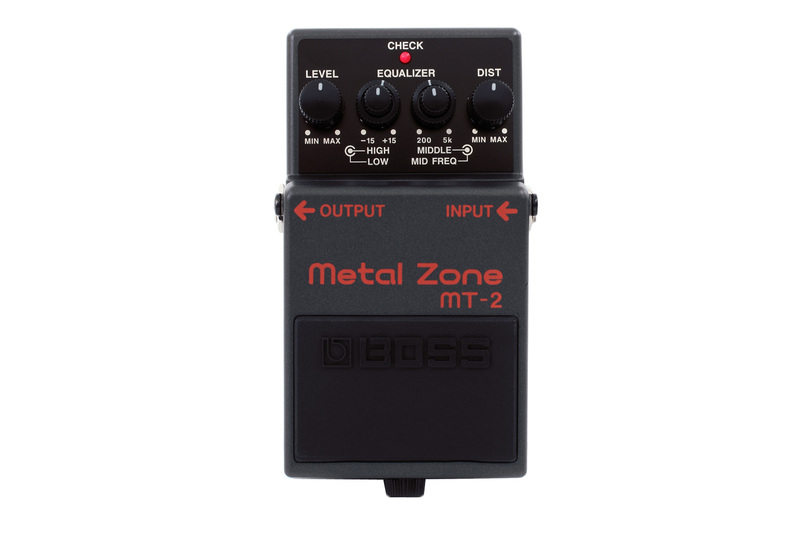 I’m always on the look out for great tone, especially with pedals that give you a lot of control options. Find your tone, be your truth, and play on! Hey! 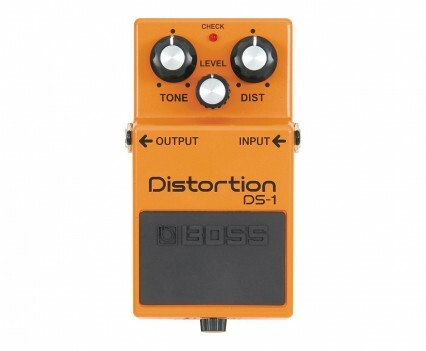 I am in the market for a distortion pedal. I have a peavey 6505+. But its too much of a trouble carrying it around for jams and practise. 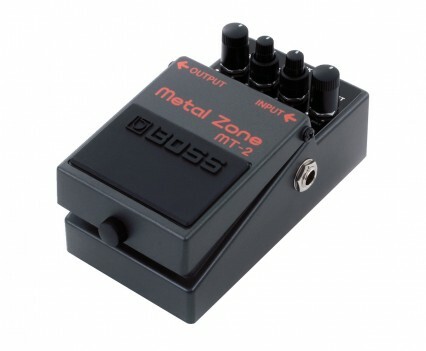 I also have a boss ml2 but the tone range is too less. I would like a tone like Sepultura Chaos album. 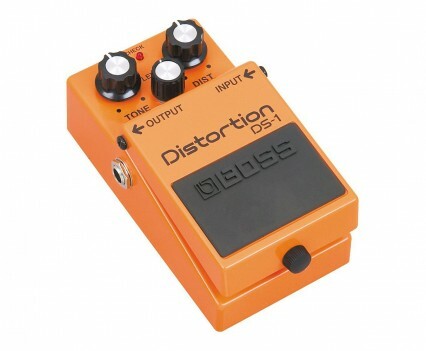 My favorite Distortion’s gotta be the Visual Sound Jekyll and Hyde Distortion/Overdrive pedal. It’s a hybrid, so it’s got plenty of range, and the tone is just a killer. I know this is about 2 years late, and you’ve probably moved well past this, but I’m hoping this comment helps others out (granted, it’s not very informative). 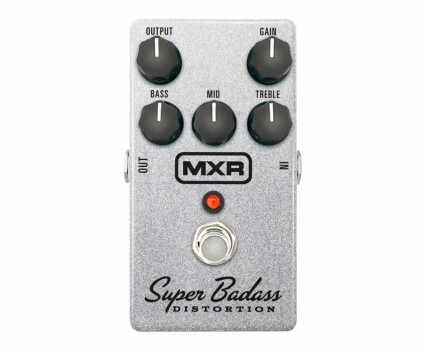 This article’s pretty useless, since there’s such a heavy Boss and MXR bias. I’d recommend just trying multiple pedals out at your local Music Shop, and seeing which one you like best. Make sure to test the pedals with gear comparable to what you’re using at home. don’t test a pedal on Mesa Boogie if you’re playing a Line 6 in your bedroom. 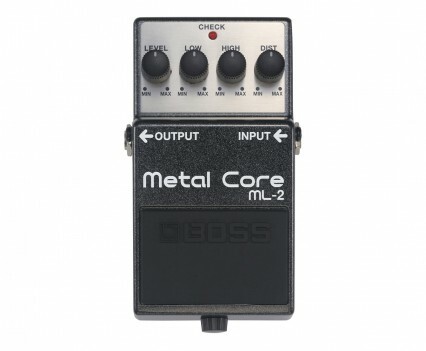 What is the best pedal and amplifier combination for playing heavy metal within Rs 50k/ $800? Probably 90’s products, and I love it. 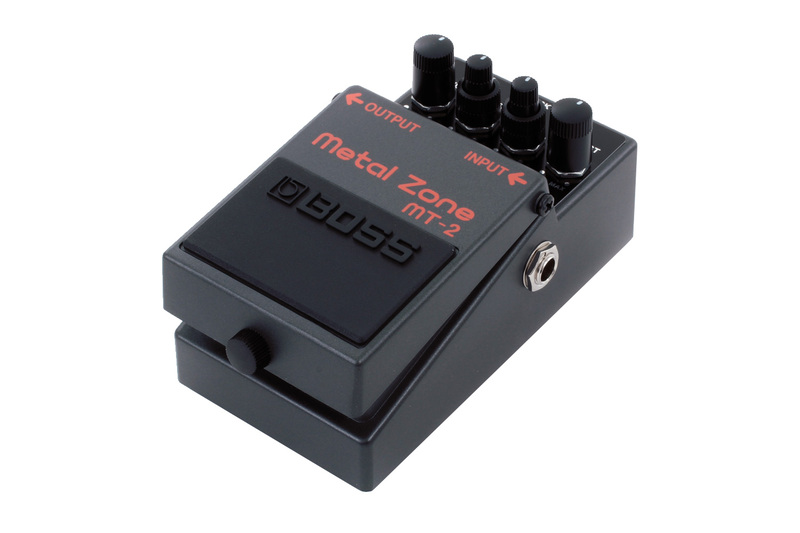 Here, in Japan, it’s very easy to find Japan made Boss pedals. And it’s cheap. the best pedal for metal is the mi audio megalith delta or the amptweaker tight metal, you must try these! 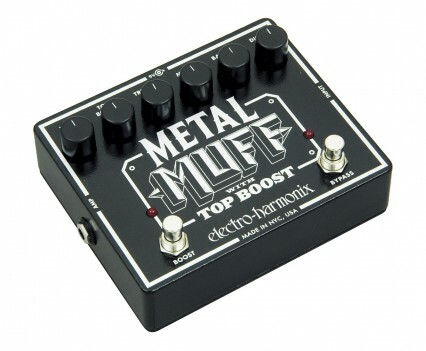 I have the Metal Muff, absolutely love it! Weehbo, Analog Man, Alexander Pedals.. I got the Diezel VH4 pedal. I’ll probably sell all the other ones now. No comparison period. My second high favorite would be the Landgraf distortion box. Steep price but it really sounds like a real amp. 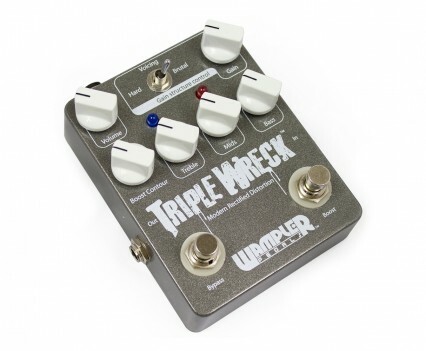 I had the Triple Wreck and even though it is, IMO, one of the best in the list, it still sounds boxy.